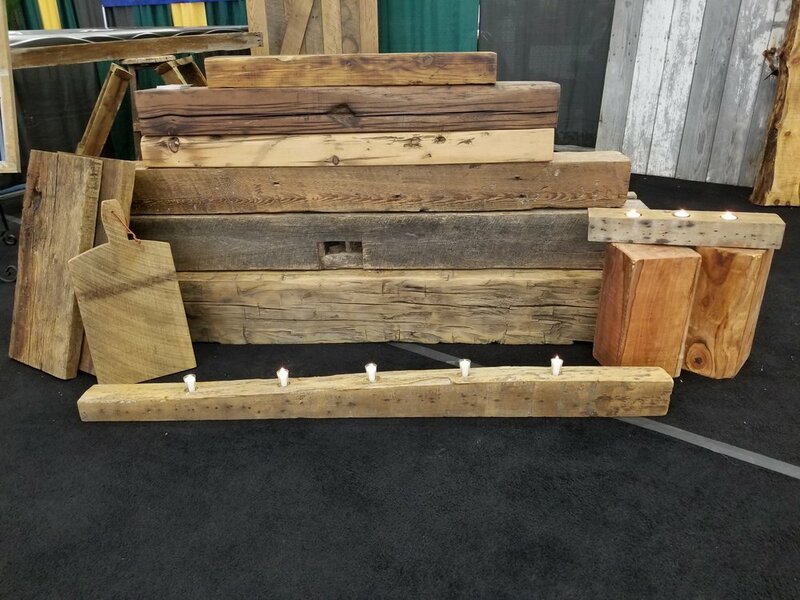 Reclaimed Hand Hewn and Circle Milled Mantels are custom made from reclaimed historic barn wood found in Central Indiana. 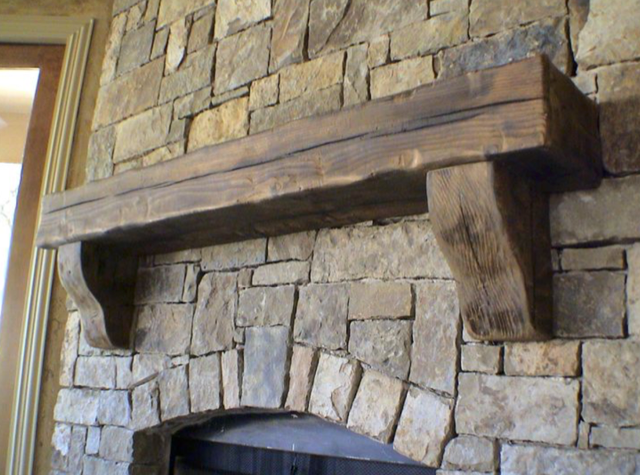 Fireplace Mantels are custom created just for you. 1. Select the style that you want. 2. 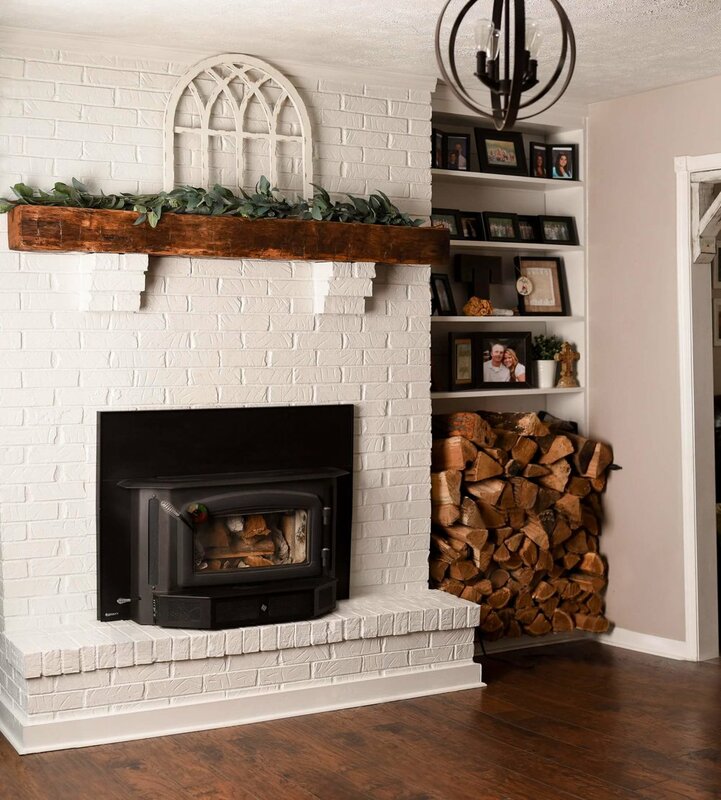 Find the size you need by measuring the mantel area. Mantel can have a rectangular look. 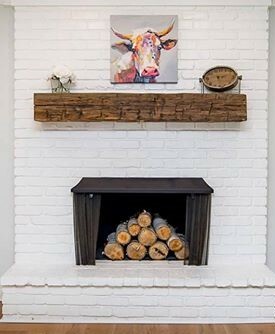 Mantels can have a square look. As American settlers pushed westward into previously unoccupied forested territory, they cleared land for homes and early agricultural buildings. We have a few left with us today, but they will not last forever. The process, although time-consuming and labor-intensive, was necessary, as sawmills were often too far from their settled plots of land for them to build with milled products. This, coupled with the need to clear forested land for building and agriculture, demanded the processing of fallen timber by hand, with axe, adze, and crosscut saw. After felling a tree, limbing the fallen timber, and skidding the resulting log from the forest to the construction site, builders or farmers would buck the log to their desired length and begin the hewing. Hand Hewn Beams were fallen logs, hewn into shape using a broad axe known in its time as an ‘adze’, which lends to the term of hand hewn sometimes being referred to as ‘hand adzed’. Originally, shaping a log into a beam with an axe was the only method. 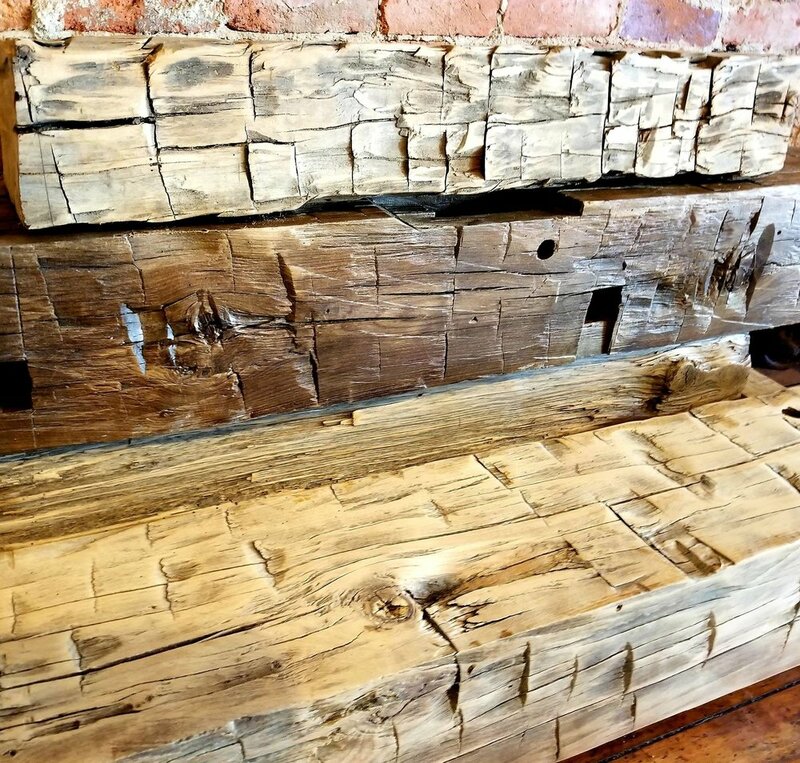 With the invention of steam power, rough sawn beams became a more available resource. In the story of the migration west, logs were hand hewn by early settlers who were isolated and did not have access to a nearby mill. Also, in the process of clearing the land, it made more sense and was more cost effective for a settler to utilize the trees that were felled to clear the land for their barn beams as opposed to purchasing them from a local mill. This occurred in most cases and the settlers used whatever trees were closest to the structure, producing some interesting surprises when the barns are deconstructed for reclamation. Nevertheless, rural structures built out of hand hewn beams are a testament to the settler way of life and the skill and hard work it took to survive on the frontier. 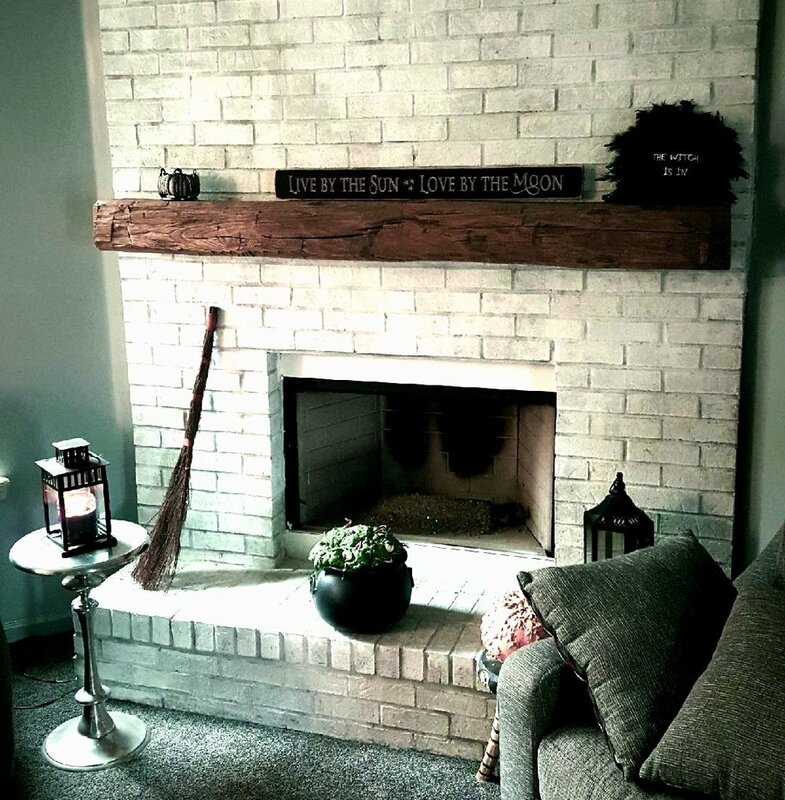 Hand Hewn beams are a favorite look. These are found in older barns that we deconstruct. They were cut using hand tools. Circle Milled or circle sawn beams are less rustic. They were cut using portable mills or from trees that were taken via horse and buggy to a mill for cutting. 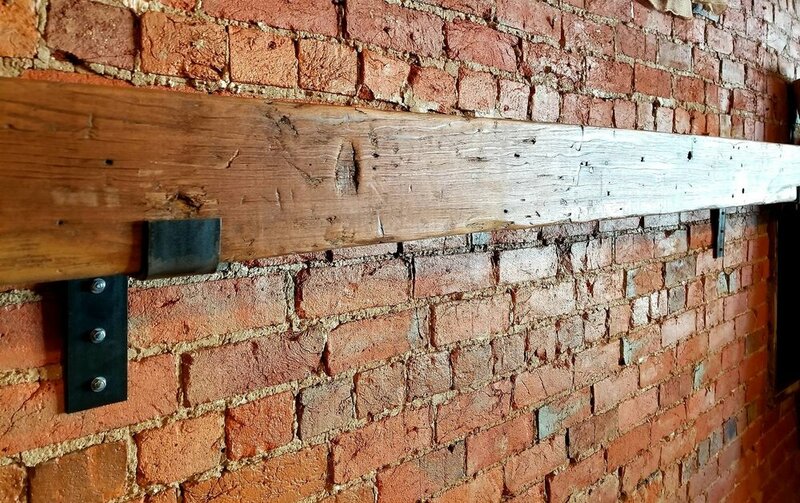 Most antique rough sawn old barn beams were cut with a large circular blade that left an interestingly textured surface that, upon aging, creates a great patina surface that looks smooth from afar, yet has plenty of character. 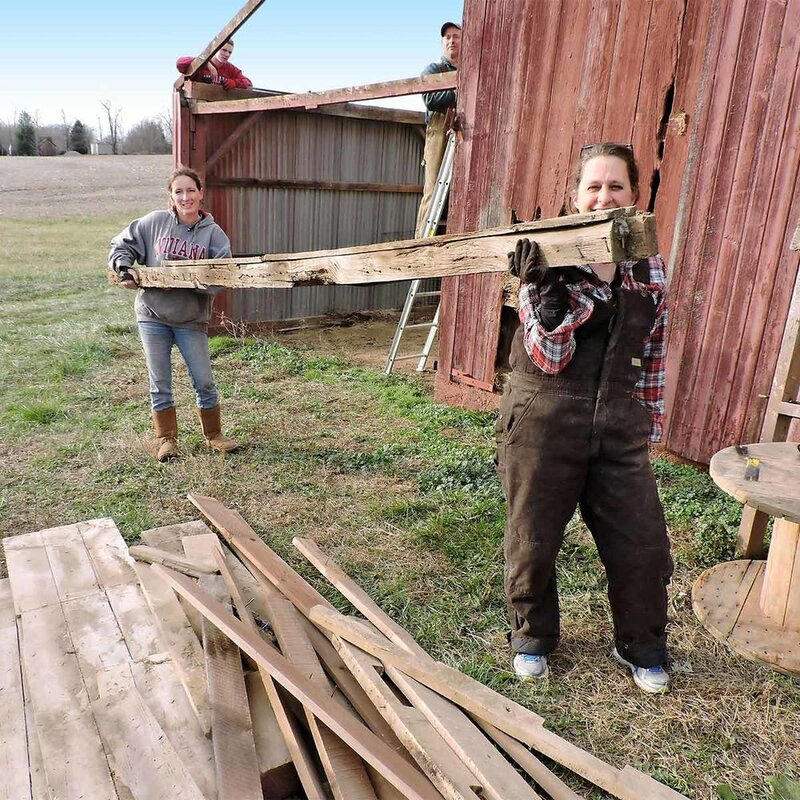 When settlers came upon the great hardwood forests of the Mississippi, Missouri, Tennessee and Ohio River Valleys, the local mills would saw any and all trees being felled from land clearings into usable beams and lumber. Many of the original old barns and buildings built from these old barn beams were made from whatever the mill or lumber yard had to offer at that time, be it southern yellow pine shipped up the rivers by steamboat, a large variety of mixed hardwoods from local clearings or one or two species from a local grove that was recently felled. Incidentally, the structures that were built from these old barn beams hold quite a variety of woods and dimensions, indicative of the times. 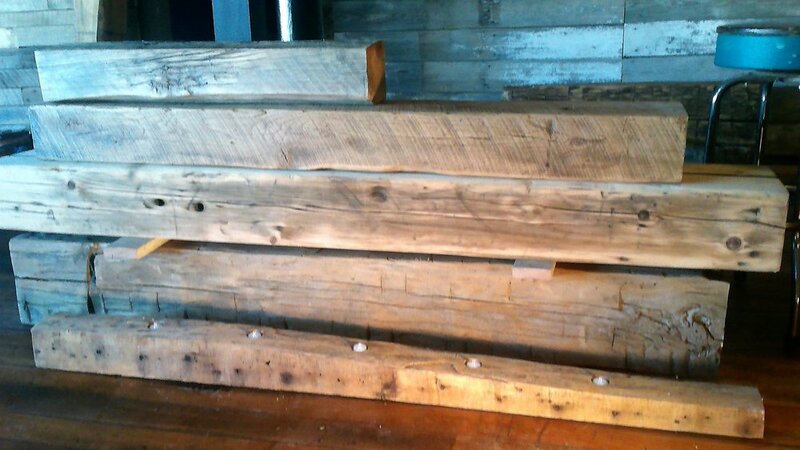 Reclaimed mantels are created from the support beams that are reclaimed from historic barns in Central Indiana. These structures date back to the mid 1800's. That means that those trees that were hand cut were growing in Indiana over 200 years ago. Oak and beach are a typical lumber that I find in the barns that we deconstruct. 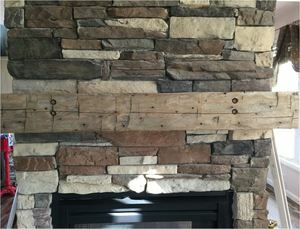 This heritage growth lumber allows the mantles to be created with lumber that is unlike the lumber today. The growth circles are much closer together creating a denser lumber. 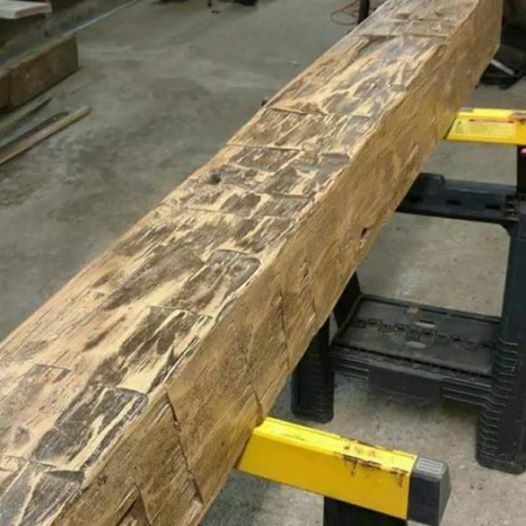 The beams were cut over a hundred years ago in many cases. This allows the drying of the lumber. Unlike green lumber today, the mantle will not warp or crack. 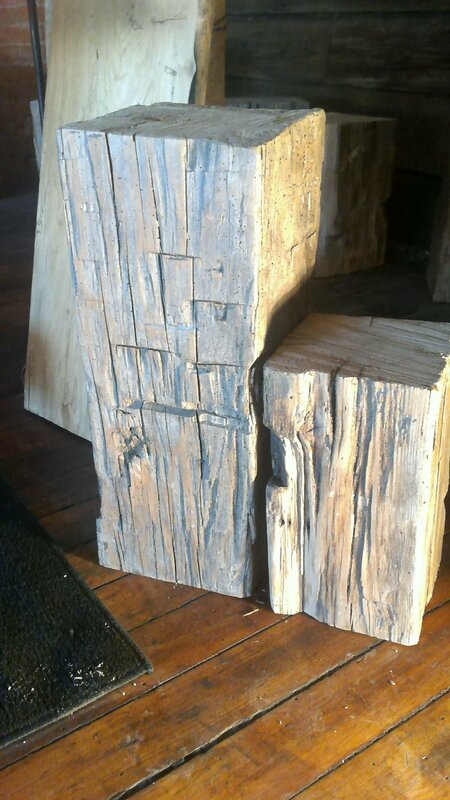 This lumber was milled from a B & O Railroad in Washington Indiana. It is the center of the white pine tree. We are able to mill this lumber to whatever dimensions that you are needing. 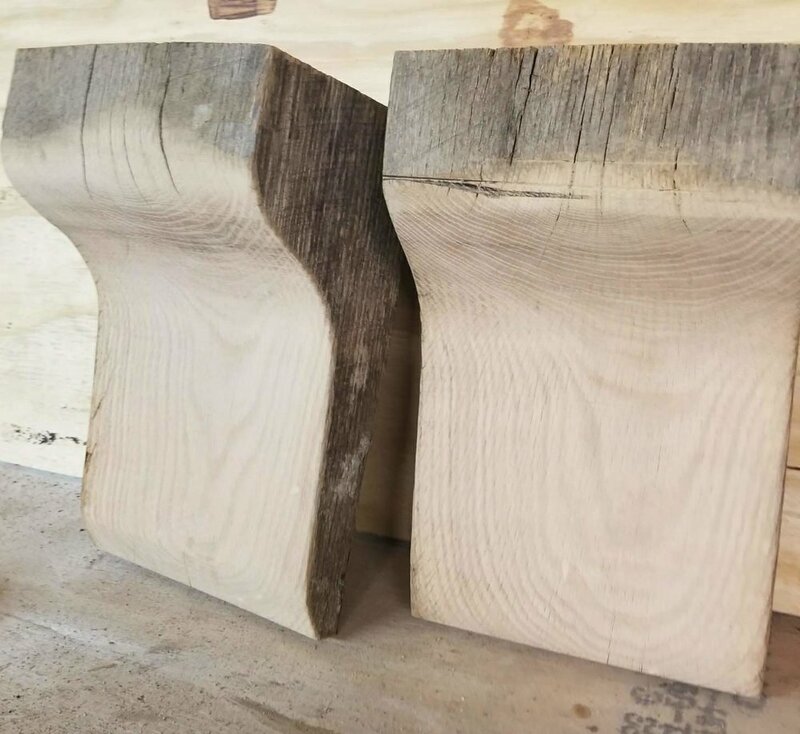 Not only great for mantles, but terrific for staircases, stair rails, bar tops, tables, beam wraps, as well as outdoor posts. 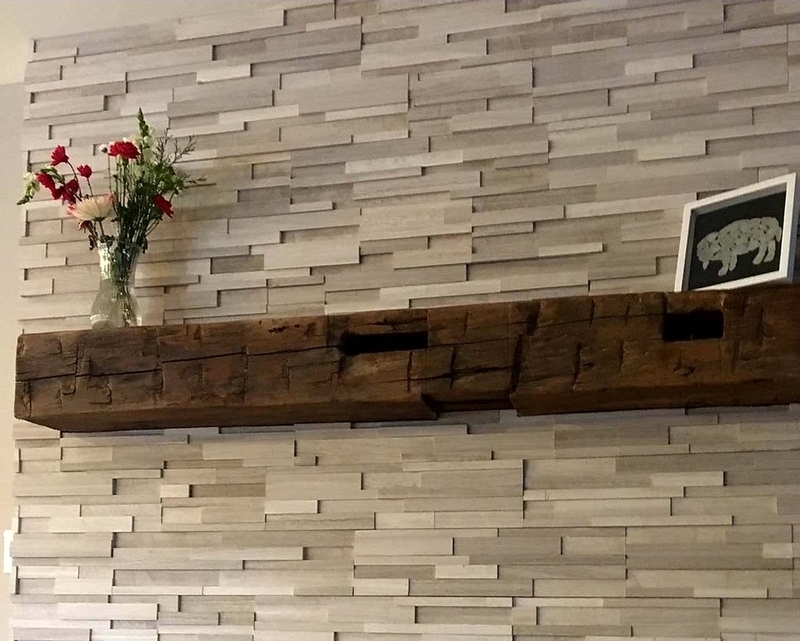 Because the material that we are using to create your special mantel was used to build a barn and it was not originally created to hang on your fireplace, there are some things that you need to take into consideration. First the mantles do not come exactly as we would like them. They often have holes, mortise pockets, cracks, and nails embedded in them. This adds to the character, but is also something that needs to fit your decor. Measurements for mantels also vary. They are not true to size. So be prepared. 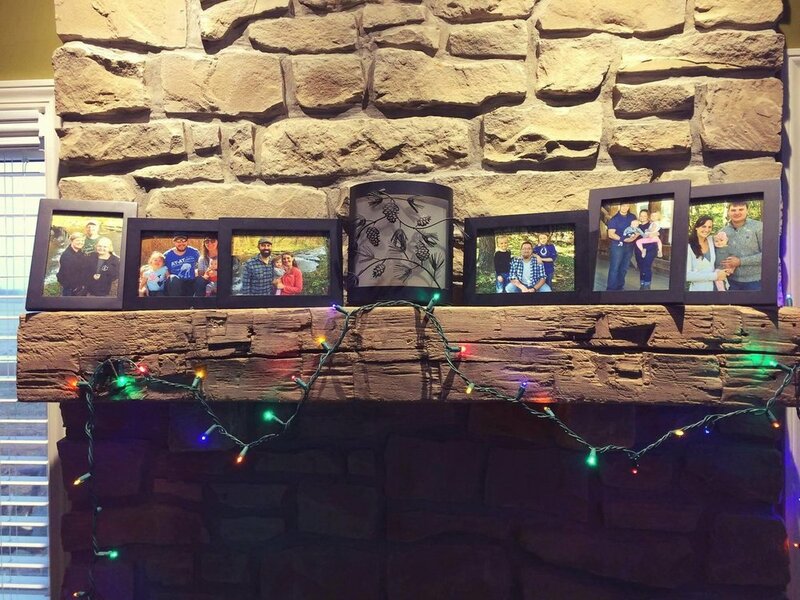 If you are ordering an 8x8 mantel, you may get a 7 3/4 x 8 1/2. Remember no one planned on this being in your living room. Some mantles will have pockets- the holes where they were joined in the barn. Let us know if you do not want these in your piece. To place and order we need to know your length, depth and width that you are hoping to create. Some like their mantels to stop at the edge of the stone or brick. Others select a different look. Pintrest can really help here. 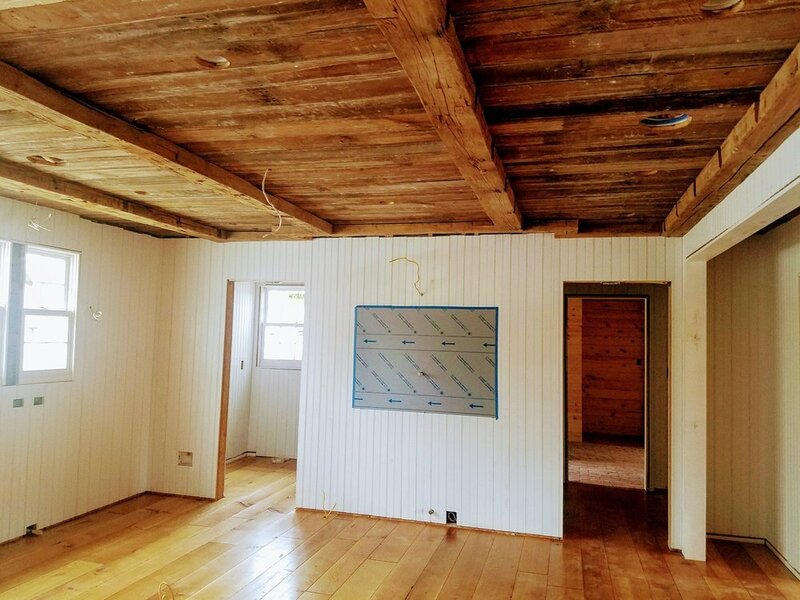 Reclaimed lumber allows you to design a space with such character and a unique look that no one else will be able to duplicate. The natural look of the lumber is incredible. That being said we are happy to stain your mantle for you. This needs to be done carefully. Because of the age of the lumber, the stain will take differently to this type of wood. Care has to be taken when selecting a stain as the stain will take darker than expected. This is old growth wood and cannot be treated as green lumber purchased from locale lumber yards. 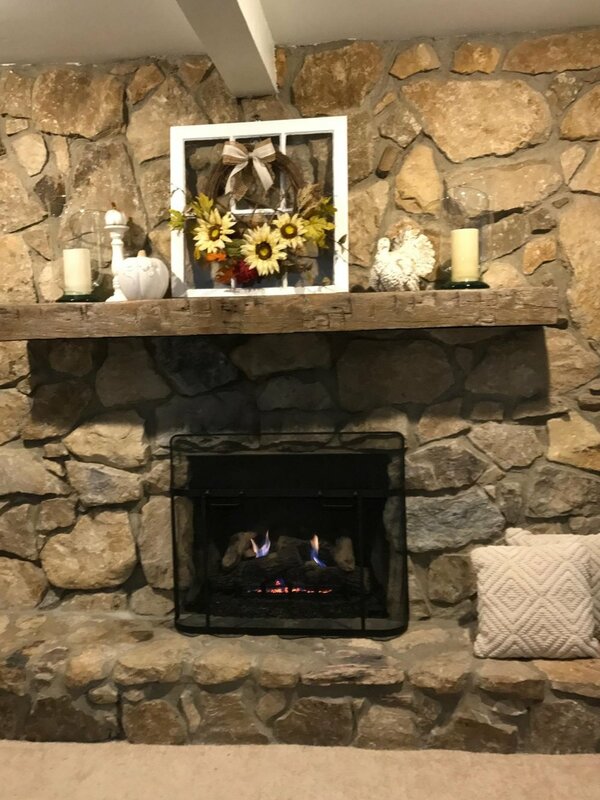 Finishing the mantle is something we do for you. 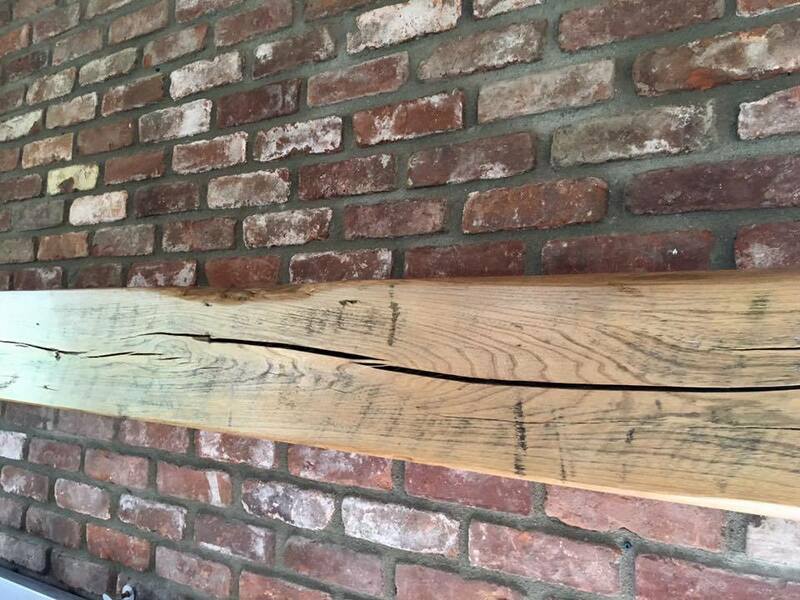 We cut and sand the mantle while keeping the historic look. The final step is to apply a stain or/and finish. We can apply a tongue oil or an acrylic. 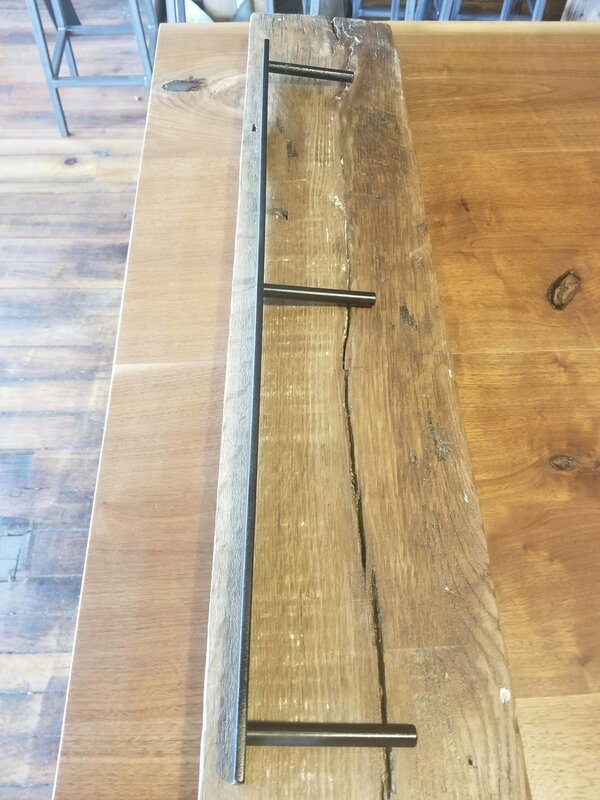 Both of these finishes allow us to protect the wood and create a natural look for you space. Beams supporting a barn. Oak circle milled beams were used here.